Are you looking for capital to grow your business? 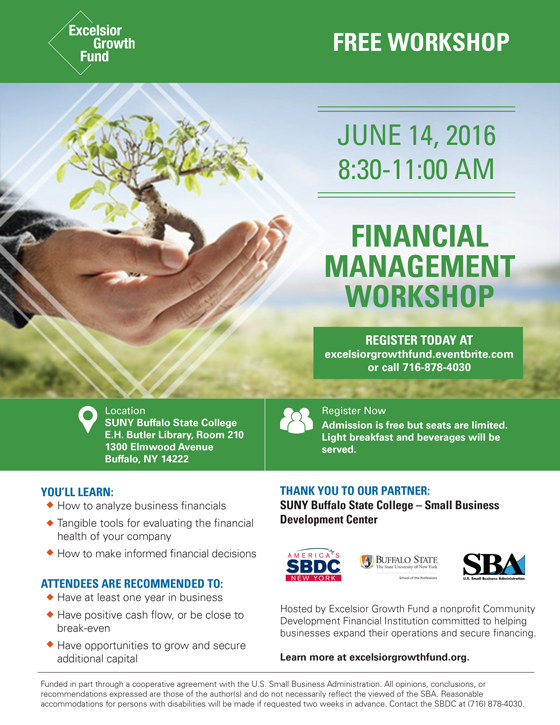 Would you like a crash course in financial management best practices with tools you can apply immediately? Hosted by Excelsior Growth Fund a nonprofit Community Development Financial Institution committed to helping businesses expand their operations and secure financing in partnership with SUNY Buffalo State Small Business Development Center. Learn More at excelsiorgrowthfund.org.